Buy online 8 sq. ft. 12 in. x 96 in. Plastic Deck Tile Underlayment for Tiling Outdoor Decks TIP1FP08 and leave review or share with Your friends. TI-ProBoard 12 in. x 96 in. 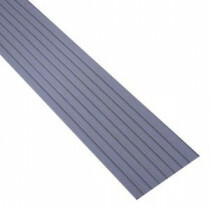 underlayment boards for outdoor tiling installs directly to deck joists to provide a stable 3/8 in. substrate for installation of tile rather than traditional decking boards. Easy for home owner or professional installer, TI-ProBoard prepares the deck surface for setting materials and tile installation. Tile the entire deck surface, a walkway or insert a pad for grills and fire pits to help prevent stain or harm to the decks surface. Enjoy stylish outdoor solid surfaces that are durable and easy to maintain.